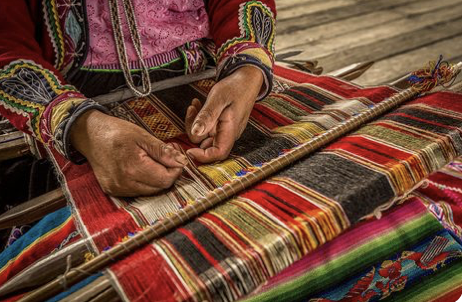 Hand woven by the Q’ero Weavers of Peru, these textiles are woven energy and energy symbols of bright colors and strong patterns. The items in this shop can be worn, used to carry medicine stones and items, or swaddle them so the energy can be focused and used. The woven symbols in turn bring energy to anything they are in contact with. Traditionally used as birthing cloths for the babies, Mestana cloths help us to birth ourselves along our Spirit path. Your purchase of these Fair Trade textiles allows entire villages to maintain the life, culture and dignity in their ancestral homes. PURE ALPACA FIBER – unless otherwise indicated.